The following article explains how to connect your Magento 2 website to a popular ERP system – Microsoft Dynamics. Being a mix of ERP and CRP, Microsoft Dynamics 365 opens a plethora of new capabilities for every e-commerce store pushing your business to an entirely new level. Thus, the Magento 2 Microsoft Dynamics integration introduces a very attractive opportunity. As an e-commerce merchant, you need an online storefront and a Magento 2 Microsoft Dynamics connector to run the integration. But before going any further into this direction, let’s say a few words about the ERP system. 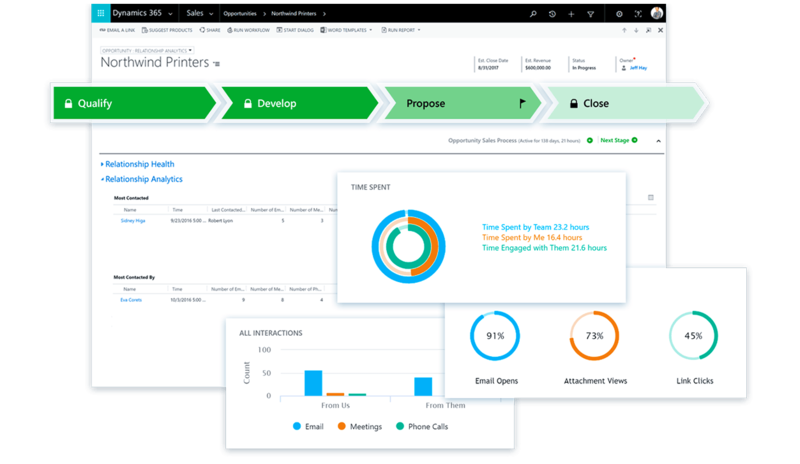 As we’ve just mentioned, Microsoft Dynamics 365 unifies CRM and ERP experience within one system. The suite includes multiple cloud applications that radically improve the default management opportunities introduced in Magento 2. The apps have the end-to-end nature and can be utilized separately. Alternatively, it is possible to combine all of them into a solid system based on your Magento 2 website. Let’s take a look at each core application offered by this Magento 2 ERP system. Magento 2 Microsoft Dynamics 365 for Sales provides an in-depth insight into your relationships with customers, allows predicting customer needs, and provides multiple opportunities to increase sales. Magento 2 Microsoft Dynamics 365 for Retail is what every e-commerce merchant needs: the application unifies your online, in-store, and back office routine creating a personalized shopping experience. Magento 2 Microsoft Dynamics 365 for Customer Service is designed primarily for your store visitors. The application improves the area of self and assisted support enabling empowered agents to deliver additional personalization for shoppers. Magento 2 Microsoft Dynamics 365 for Field Service enables such opportunities as predictive scheduling, proactive maintenance, and first-time fix. Magento 2 Microsoft Dynamics 365 for Project Service Automation allows delivering customer projects on-time. At the same time, you can plan your budget more carefully becoming a trusted partner. Magento 2 Microsoft Dynamics 365 for Finance and Operations is another revolutionary part of the suite. It is designed to completely revamp the way you interact with multiple business operations and drive a new growth by enriching experience related to such areas as finance, manufacturing, and supply. Magento 2 Microsoft Dynamics 365 for Talent allows attracting new people to grow your business most seamlessly. Magento 2 Microsoft Dynamics 365 for Marketing allows you to avoid using basic marketing tools replacing them with more efficient modern solutions. Magento 2 Microsoft Dynamics 365 Business Central is a unified solution that covers all areas an ERP + CRM system can include: finances, services, sales, and operations. It is also necessary to draw your attention to multiple price plans before we proceed to the Magento 2 Microsoft Dynamics integration. First of all, you can leverage Customer Engagement Plan to get the full access to applications designed to build strong customer relationships for $115 per user per month. As for Unified Operations Plan, it is intended to provide all means that introduced merchant-friendly business operations management. This plan starts from $190 per user per month. Dynamics 365 Plan provides you with full use of all apps as a single option from $210 per user per month. At the same time, the Magento 2 Microsoft Dynamics integration provides the ability to connect only what you need from $40 per user per month. Next, you can upgrade to a more fully-featured plan. Since the Microsoft Dynamics ERP needs data and your e-commerce data needs apps to make its use more efficient, you need a reliable Magento 2 Microsoft Dynamics connector to provides the ERP platform with the corresponding output. Of course, you can use the default Magento 2 export to generate the output required by Microsoft Dynamics, but you will face lots of problems since the native tool is insufficient. Therefore, we recommend you using the Improved Import & Export Magento 2 extension and here are a few reasons to do so. 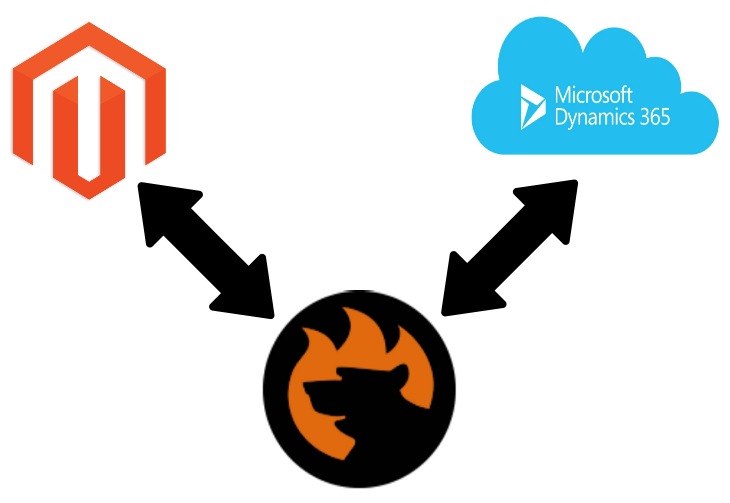 First of all, our extension provides a two-way connection between Magento 2 and Microsoft Dynamics. The module utilizes import and export profiles that can be highly configured according to the needs of any third-party system. Import and export profiles are independent so that you don’t need to set import functionality if the only required one is export. As for flexible configurations, they include the opportunity to automate your Magento 2 Microsoft Dynamics integration fully. 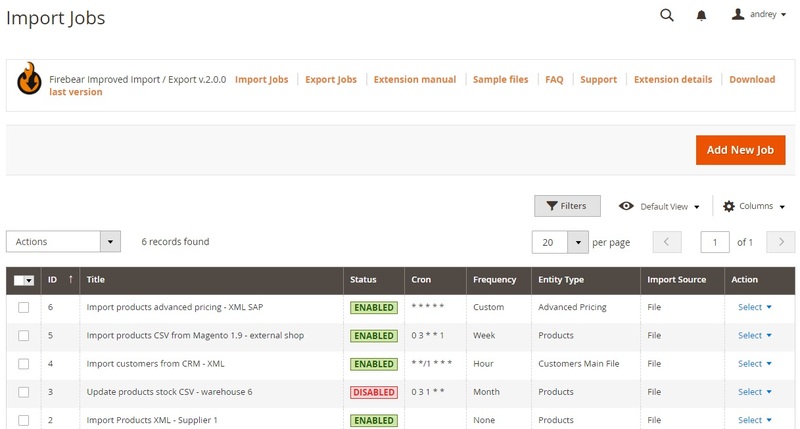 The Improved Import & Export Magento 2 extension fully supports cron. Consequently, you can use standard cron rules to create any custom schedule of updates. And don’t forget that your import and export profiles are independent allowing you to create different update schedules for data migration to and from Microsoft Dynamics. If you don’t want to learn any rules, our module offers an opportunity to select a predefined time interval. Thus, feel free to run daily, weekly, or monthly updates without tweaking anything. Furthermore, if it is necessary to provide Microsoft Dynamics with the new data before the planned updated, you can always leverage the asynchronous mode running the profile manually. Now, when you know some fundamental aspects of the automated schedule, we should draw your attention to another feature of the Improved Import & Export Magento 2 extension that completely changes the way most merchants connect their Magento 2 stores to external systems. It’s not a secret that Magento 2 has its system of attributes. The same is about all existing systems and platforms. Thus, every time you try to import a data file to Magento 2, you need to edit it manually matching third-party attributes to the native Magento 2 environment. The same rule works for export processes: you can create a default Magento 2 output, but it should be edited to satisfy the requirements of the external system. The manual editing of data files is exhausting especially if they a huge. Luckily, the Improved Import & Export Magento 2 extension allows eliminating this tedious process at all. First of all, you can fully leverage the mapping grid that appears in every import and export profile. In case the Magento 2 Microsoft Dynamics integration requires data editing, create a corresponding mapping scheme matching Magento 2 attributes to the rules and requirements of Microsoft Dynamics. As a result, you will forever forget about manual data editing during every update. Another way to simplify the procedure and eliminate the exhausting routine is introduced with mapping presets. Our team has already created multiple mapping schemes that substantially improve the way you map attributes in the backend. You only need to select a platform you want to connect your store to and apply the corresponding preset – the appropriate mapping scheme will be implemented manually. You don’t even need to match attributes within the extension. Both ways allow automating all further updates since the created scheme is used during every import and export process. Multiple connection standards is another crucial aspect introduced in the Improved Import & Export Magento 2 extension.First of all, the module allows using data files to run every integration. You can utilize such file formats as CSV, XML, and TXT. Most third-party systems support them, but there are always some exceptions. For instance, the Magento 2 Microsoft Dynamics synchronization can be implemented using native Excel files that are fully supported by our module. Another connection standard is introduced with the Google Sheets support. No file output is necessary: all data is synchronized between your store and the external system using the popular Google service. Besides, the Improved Import & Export Magento 2 extension allows leveraging the API connection. The module supports this type for more complex integrations. Another vital feature introduced with the plugin is the support for multiple file sources. The extension allows leveraging a local or remote server to transfer data due to the extended FTP/SFTP support. Alternatively, you can utilize a Dropbox account to make every file transfer possible. Besides, there is an opportunity to import data files right from URLs. And note that all compressed data is unzipped/untarred automatically! Watch the following video for further information about the extension. If you have any questions about the extension of the Magento 2 Microsoft Dynamics integration, please, contact our support team. As for the Magento 2 Microsoft Dynamics connector, it is available for FREE as a part of the Magento 2 Improved Import & Export extension. Purchase the module and get other connectors out of charge.